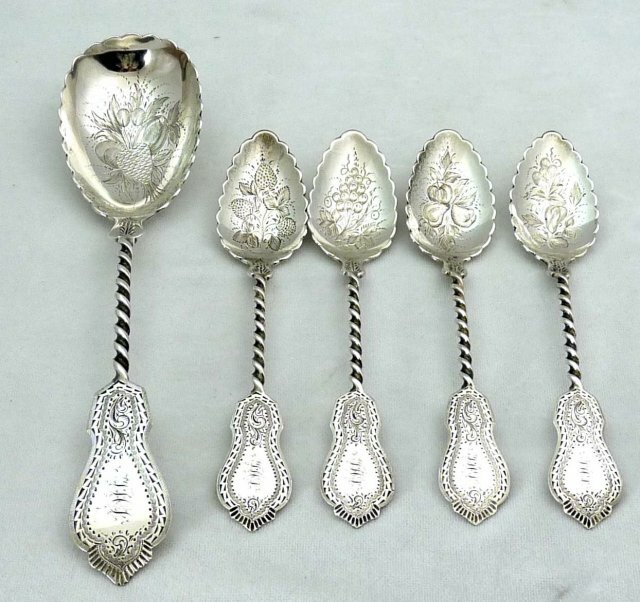 An important Gale & Willis Sterling Silver 5 piece dessert or fruit spoon set from the renowned, extremely short-lived, partnership of Gale & Willis, 1859-1862, New York, NY. 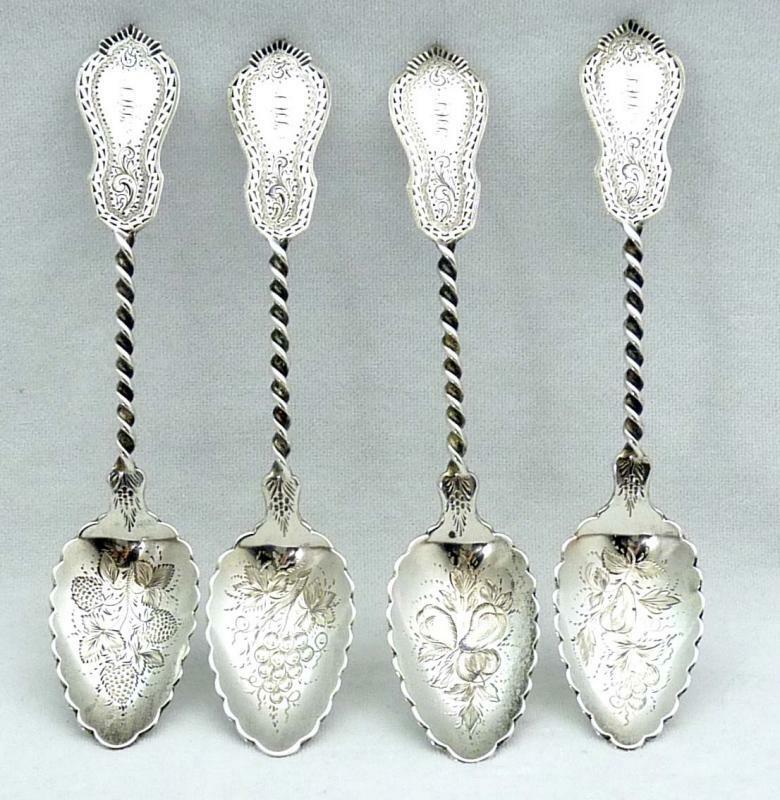 This exquisite hand crafted set includes the master fruit / dessert serving spoon and 4 individual spoons. Each spoon has the finest hand chased tip and scalloped edge bowl with a twisted handle. 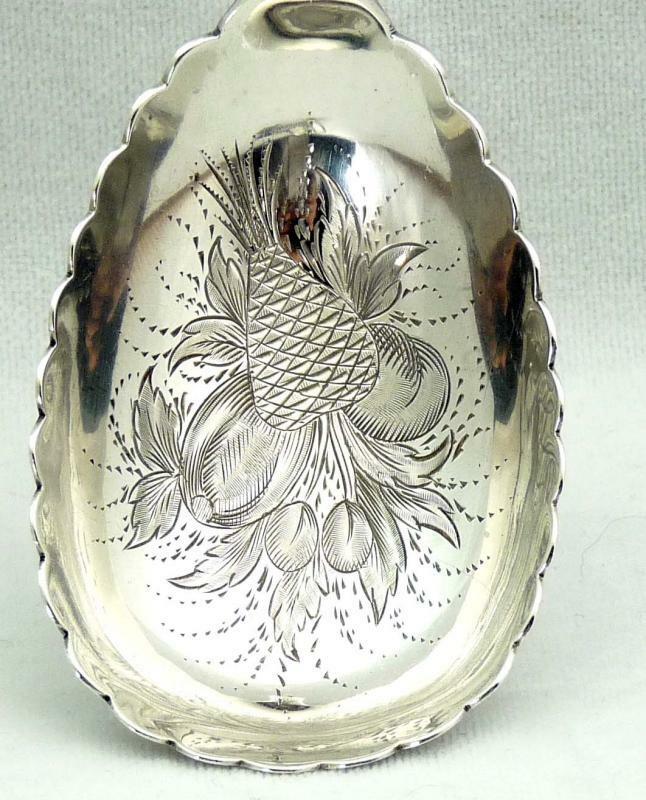 Bowls of each spoon have a different engraved fruit motif / design. Master serving spoon measures 8 3/4" long and four individual spoons measure 6 3/8" long. 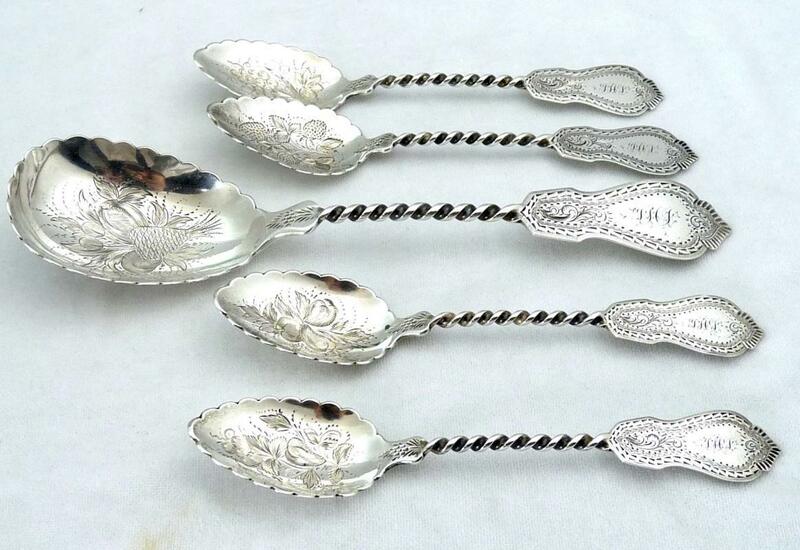 Spoons have monograms. Marked Gale & Willis 925 Sterling. All together this lovely set weighs 4.560 troy ounces. An extremely rare and extravagant set, very fine quality. 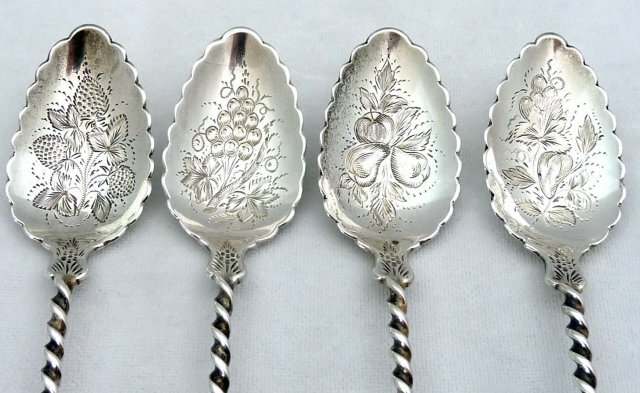 Items Similar To "1859 GALE & WILLIS Sterling Silver 5 Pc. Dessert Set"